The goal should be in writing SEO web page copy that appeals to your end users (customers, prospects & readers) and solves their problem. While also ranking well in Google. 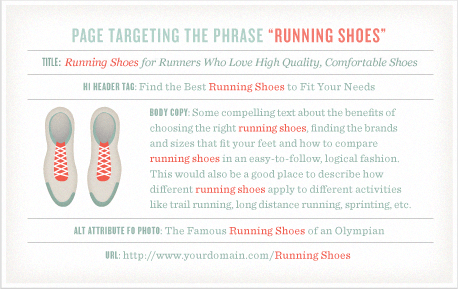 Best practices to help you accomplish writing content for your website. Who’s your target audience for your page? What keyword/phrases describe your page? 1. Title or Headline (h1) – Grabs the reader’s attention and includes the focus keyword/phrase. 2. First Paragraph (p) – Few short sentences, what is the one thing you want your reader to understand. Is it clear to the point? Be sure to include your focus keyword towards the front of this paragraph. 3. Body Copy (p, h2, h3) – The rest of the copy should be easy to read and benefit the reader. Include the focus keyword/phrase at least two to three times where it fits in the copy and subheadings. Web copy recommended minimum of 300 words. Meta description has been specified, search engines will display. 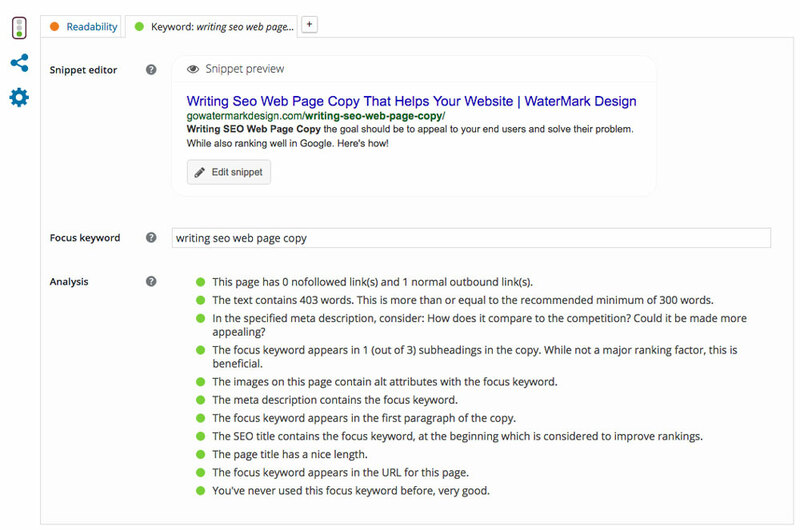 The focus keyword appears in the SEO title. The slug for this page contains your focus keyword. Links appear in this page. The focus keyword appears in subheadings in the copy. While not a major ranking factor, this is beneficial. You’ve never used this focus keyword before on another page. Which is good! Here’s an example for the SEO on this page!